SAN ANTONIO - Shortly after beating the San Antonio Spurs and spoiling Kawhi Leonard’s season debut, Dallas Mavericks center Salah Mejri was caught on camera allegedly trying to trip fan favorite Patty Mills as the Spurs walked off the court Tuesday night. In a video shared to Twitter, Mejri is seen walking towards the direction of the Mavs locker room when he suddenly turns around and sticks his left foot under Mills’ legs, causing him to stumble. The incident occurred when the Spurs had to walk past the Mavs’ bench in order to get to their locker room following the 95-89 loss to Dallas at American Airlines Center. Earlier in Tuesday night’s game, Mejri and Spurs small forward Rudy Gay both were assessed a double technical foul after a brief altercation between the pair with less than 30 seconds left before halftime. 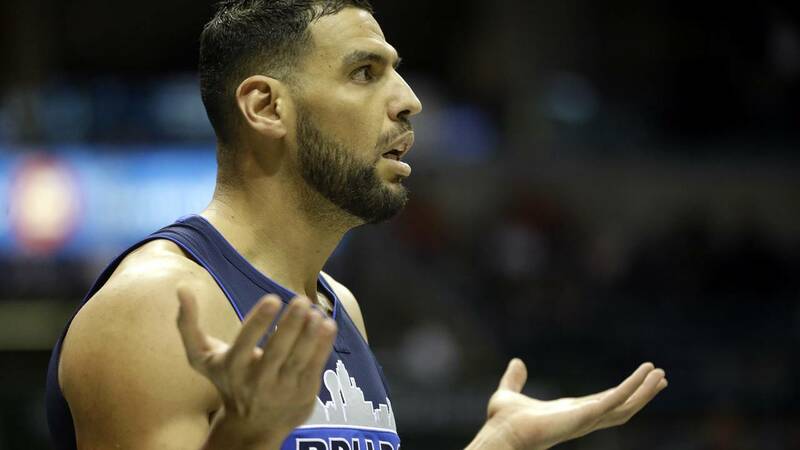 The double technical foul was assessed after Mejri appeared to once again stick his left foot under Mills’ legs when he stole the ball from the Mavs center. The Spurs and the two-year veteran Mejri have some interesting history that dates back to Tim Duncan’s last season. San Antonio fans may recall two seasons ago, when Mejri jawed at head coach Gregg Popovich and the Spurs bench following a dunk during the second quarter as the Mavs were down by 21. Popovich and Duncan later shared a laugh, unsure what they did to antagonize the then-rookie Mejri. Oddly enough, Spurs fans will have to wonder if Mejri learned a thing or two from his rookie season when he played backup center to highly criticized Zaza Pachulia. Pachulia -- now with the Golden State Warriors -- was caught up in his own controversy last season when he stuck his foot under Kawhi Leonard in a closeout play during Game 1 of the Western Conference Finals, causing Leonard to miss the rest of the 2017 postseason. Fans do not have to wait long to see Mejri again as the Spurs will host the Mavericks at 7:30 p.m. Saturday, for their final matchup this regular season.